Our ultimate goal is to create a match that results in a long-term working relationship that continues to be rewarding for both our clients and the candidates they hire. Whether you are a candidate seeking new opportunities or a company searching to fill a new opening with the top talent in the region, Accountants For You & OfficeStaff For You has a combined 100 years of professional recruiting experience in the industry. As a Certified Woman Business Enterprise, Accountants For You & OfficeStaff For You is a locally owned and operated regional boutique staffing agency, providing cost effective staffing solutions for our clients. Accountants For You specializes in the placement of Accounting and Finance Professionals at all levels on a Temporary, Project, Temp to Hire and Direct Hire basis. OfficeStaff For You specializes in the placement of Administrative, Customer Service, Human Resource, Medical Administrative and Data Entry specialists at all levels on a Temporary, Project, Temp to Hire and Direct Hire basis. Our geographical footprint includes all of Southeastern PA, Central and Northern Delaware, and Central and Southern New Jersey. We also have clients in Lehigh Valley, Harrisburg, Lancaster County, Hershey and the states of Maryland and Illinois. 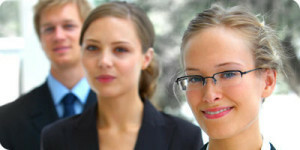 Accountants For You & OfficeStaff For You has a unique history and one that is unparalleled in the staffing industry. Marcia and Mark Libes and their professional staff have been placing financial and office personnel in the Delaware Valley for over 30 years. Thirty years ago, Mark and his brother started what has become an international financial recruiting firm. As founder and franchise owners, they became an industry leader in the specialized staffing world. In 2005, after successfully building three licensed offices in the Delaware Valley, Mark sold the licenses back to the corporate parent. Eighteen months later in 2006, Marcia and Mark Libes opened Accountants For You & OfficeStaff For You using the same core values that had made their previous licenses a great success. As a result, they have a terrific understanding of the specific needs of their client companies and can better evaluate the backgrounds and strengths of their candidates in a changing marketplace. Their success was based on one principal; “Provide unsurpassed customer service through a consultative approach by forging partnerships with both Candidates and the Clients.” Over the years, they noticed fundamental changes in how staffing agencies provide service; personal touch, local ownership, continuity of staff and trust were lost. Accountants For You & OfficeStaff For You was established to return to the principals that had made his business successful in the past; Customer Service, Expertise, Culture, and Trust. Our goal is to provide boundless sensitivity to our candidates who are seeking new professional growth and to our clients who are in search of the very best temporary or permanent staff for their organization. Accountants For You & OfficeStaff For You differentiates itself from its competition by providing and fostering a consultative environment for both the client and the candidate. Our recruiting process is thorough; we screen, test and reference all candidates. We actively recruit passive candidates industry to industry. As a result of our 30 plus years in the industry, we have the benefit of a strong candidate pipeline referred by the outstanding candidates we’ve placed over the years. These candidates are passive job seekers. However, as a result of their trust in us, they are willing to hear about new opportunities that will enhance their careers while also enhancing the professional staff of our clients. Very often our candidates become our clients and so it goes. Accountants For You & OfficeStaff For You is a Certified Woman Business Enterprise.